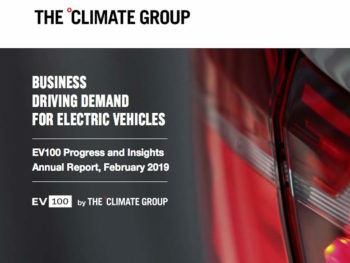 The Climate Group has published a new report showing the progress made by multinationals making the switch to EVs under the first year of its EV100 campaign. Founded in September 2017, the EV100 programme has been developed by the non-profit organisation with the aim of fast-tracking EV uptake; members commit to switching their major diesel/petrol vehicle fleets to EVs and/or installing electric battery charging infrastructure. The programme was founded by 10 members – including LeasePlan, Ikea and Deutsche Post DHL Group – and by the end of the first year had expanded to a total of 23 companies committed to electrifying 145,000 vehicles across their operations by 2030 in 66 markets worldwide by 2030. 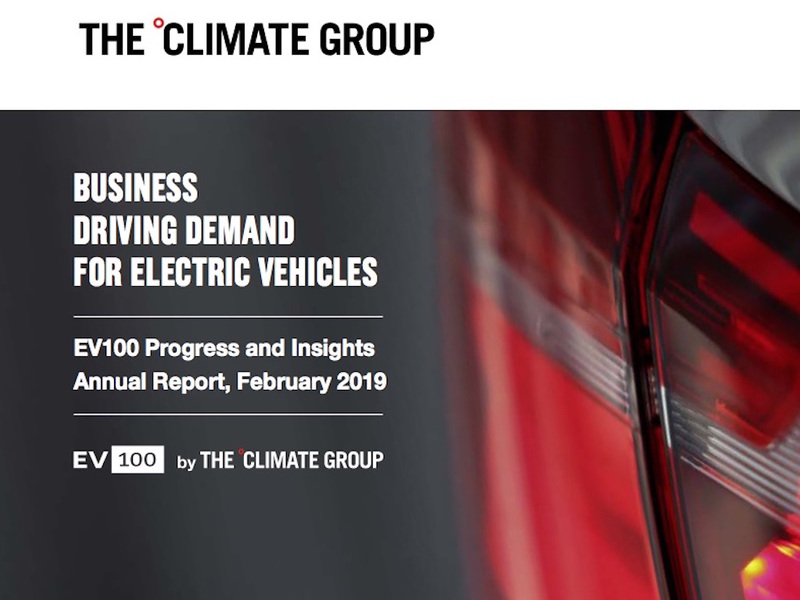 As of February 2019, EV100 has now grown to 31 companies, adding demand for an extra 70,000 EVs (provisional data). Already in the first year of the project, 10,000 committed vehicles have been switched to EVs. Top three fleet conversions to date have seen Baidu switch 100% of 96 vehicles to EVs, Mercury has converted 71% of 129 vehicles and Air New Zealand has switched over 45% of 171 vehicles. LeasePlan has made a unique EV100 commitment by not only pledging to transition its own employee fleet to electric by 2021, but by also targeting net zero emissions from its entire 1.8 million vehicle customer fleet by 2030. Several members are also working to influence the companies they do business with. Over half of EV100 members making service contract commitments now require EVs from taxi and car rental providers. This is often part of a broader sustainable business travel policy – METRO AG and Unilever also actively encourage employee car sharing. The EV100 will also address charging infrastructure issues by driving the installation of chargepoints. EV100 members reporting in September 2018 have committed to install charging infrastructure at more than 2,000 workplace and customer parking sites around the world, with charging already installed at 429 sites (21%). By 2030, the workplace charging commitments will facilitate EV charging for 632,000 employees. Almost 6,000 charge points have already been deployed for staff and customers, and more than 6,000 to support fleet charging. Four members have already fully achieved their charging commitments: AEON Mall (78 customer sites), Air New Zealand (eight customer/office sites), Heathrow Airport (one customer/office site) and Christchurch International Airport Ltd (one office site). The first-year report also shows that 82% of members already power at least some of their charging needs by renewable or zero-carbon energy. However, The Climate Group is urging more fleets to sign up to the initiative as it highlights that more action is needed to keep global warming below 1.5°C.